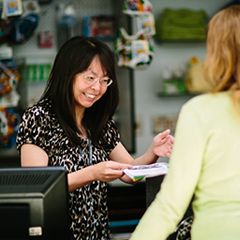 Organizations that qualify for Operating Assistance have been identified because they contribute to the vitality and growth of the arts and creative sectors in North Vancouver. The application window for 2019 Operating Assistance grants opens at 12:00 noon, December 5, 2018. The deadline to submit an Operating Assistance grant request is Tuesday January 15, 2019. Organizations that consider they may be eligible to apply for Operating Assistance should consult the Operating Assistance Guidelines and contact the Grants Officer before submitting an application. The Operating Assistance Guidelines provide important information including but not restricted to: eligibility considerations, submission processes, evaluation and review criteria, and annual reporting requirements. A stable, sustainable and predictable funding environment enables groups to plan for their organizational development and future programing needs. Operating Assistance Grants may, at the recommendation of the Grants Committee, be approved for up to three (3) years. Grants recipients will be advised at the time of receiving a grant whether or not they are recommended for multi-year support. through their capacity to respond to and deliver on the municipalities’ goals and objectives for arts and cultural development.